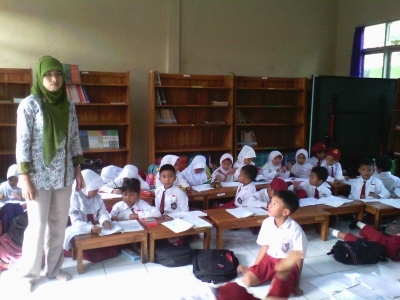 Mrs. Romyati works in school administration and manages two elementary school libraries at the same time. 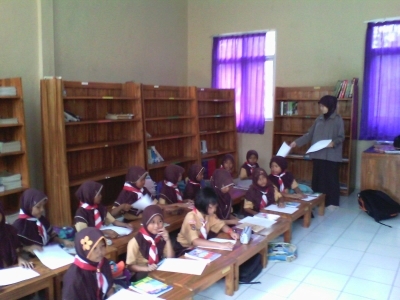 Now the library contains around 400 books, mostly textbooks and a couple of colorful pictorial books that are in high demand. 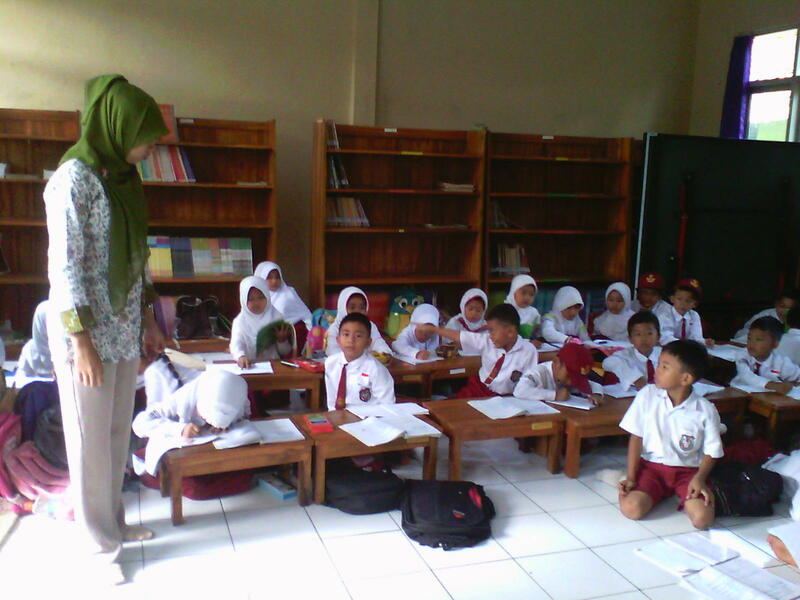 They organize drawing and reading competitions for the students.